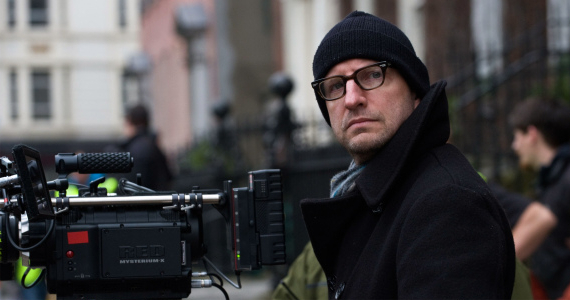 Steven Soderbergh has smoothly transitioned from movies to television and his new Cinemax drama THE KNICK is already garnering some of the strongest praise of his career. Join us as we sharpen the edges of our fine-toothed comb before using it to dissect the career of the great American masters. We then spend the last 20 minutes of the podcast chatting about the first 2 episodes of THE KNICK. But, not to worry squeamish listeners, or those of you who are woefully behind in your summer television consumption. We steer clear of anything resembling a spoiler. It's okay. You can trust us. Does this napkin smell like chloroform to you? EDITOR'S NOTE: Despite making a concerted effort to be as comprehensive as possible in our overview of Soderbergh's filmography we still managed to accidentally gloss over his HBO political series K-STREET as well as his late-period throwback actioner HAYWIRE. Apologies to fans or ardent proponents of either.